The Xigmatek 600W PSU is well suited to eco-enthusiasts, with an 85 per cent efficiency rating claimed by the manufacturer, and recycled packaging to boot. 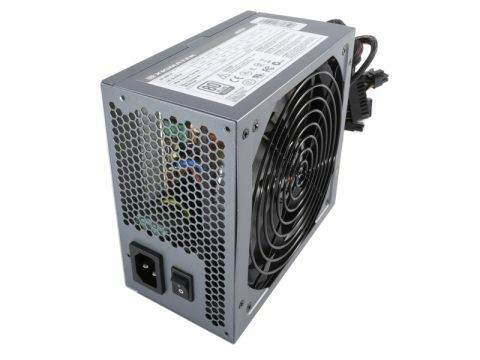 In general, home users and casual gamers will benefit by using this PSU. It can certainly deliver power to a wide range of system components, including lower-end PCI Express graphics cards. Under our testing, the Xigmatek 600W achieved 100 per cent of the manufacturer's claimed performance based on real-world scenarios involving the most commonly used 12 volt rails. In terms of total efficiency, the Xigmatek 600W came in at a very respectable third place, behind other entry-level power supplies such as the OCZ StealthXStream 2 600W and the Antec TruePower 550W. It also performed moderately well in terms of standby efficiency; coming in around the middle of the field compared to its rivals. Even under load the PSU produced less decibel noise than all similar power supplies in its class, including the Fractal Design Tesla 650W and the Spire Blackmoon 650W, making it the quietest under test. The large 140mm fan did a good job venting heat, helping to keep the inside of the PC cooler than the outside exhaust, and the cables didn't significantly heat up during high electrical loads. We were glad to see the tested rails were all within the ATX-specified tolerances, comfortably meeting the standard. The Xigmatek 600W also went on to produce an almost completely jitter free voltage reading at the 75 per cent load mark, forming a near flat line to demonstrate low electrical interference. The build quality is generally sound and satisfactory, if nothing stellar. It's of a standard design with the dimensions of 160 x 86 x 150mm. The Xigmatek is a fairly heavy power supply for this size, weighing in at 2.140kg. The Xigmatec 600W has two 12v rails to split loads and the manufacturer's stated AC power input is 100-240V 10A 47-63Hz. It also comes with a decent – for this class – total of 23 output connectors; 1x ATX 20/24-pin connector, 2x CPU 4+4-pin connectors, 2x PCI Express 6/8-pin connectors, 2x PCI Express 6-pin connectors, 8x SATA connectors, 7x 4-pin peripheral (MOLEX) connectors, and 1x floppy connector. In general, this entry-level power supply met or exceeded our expectations; the main area of potential improvement is standby efficiency compared to the rest.